We’re thrilled to share the news: Thanks to you, Verizon has informed us that they will #ReverseTheFee. As a result, we can continue to offer text notifications as part of the Remind service. There will be no service disruption for Verizon Wireless customers. 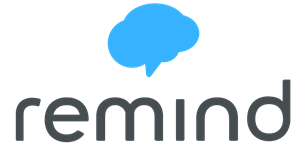 We’re grateful to Verizon for making a commitment to support accessible communication for all Remind users. You can read more here: https://www.remind.com/blog/verizon-update. Thank you so much for your patience and support—this wouldn’t be possible without you.